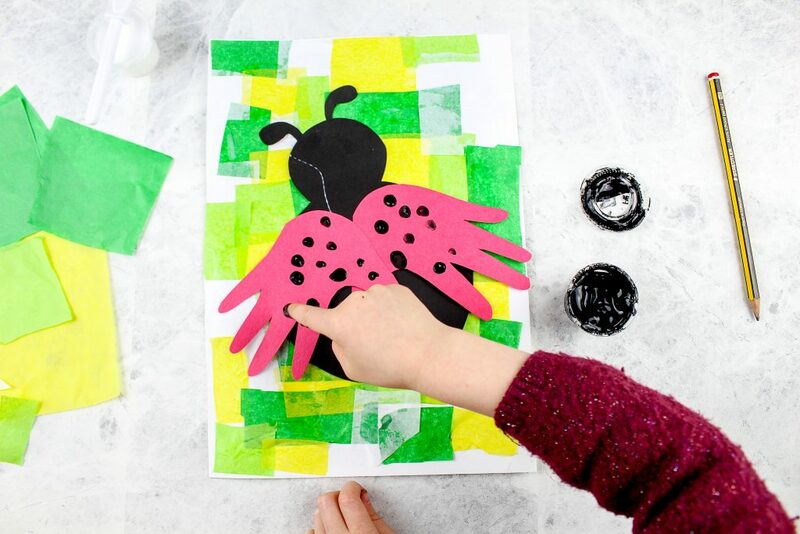 We love minibeast activities at Arty Crafty Kids and this adorable Handprint Ladybug Craft has been designed with young children and preschoolers in mind. 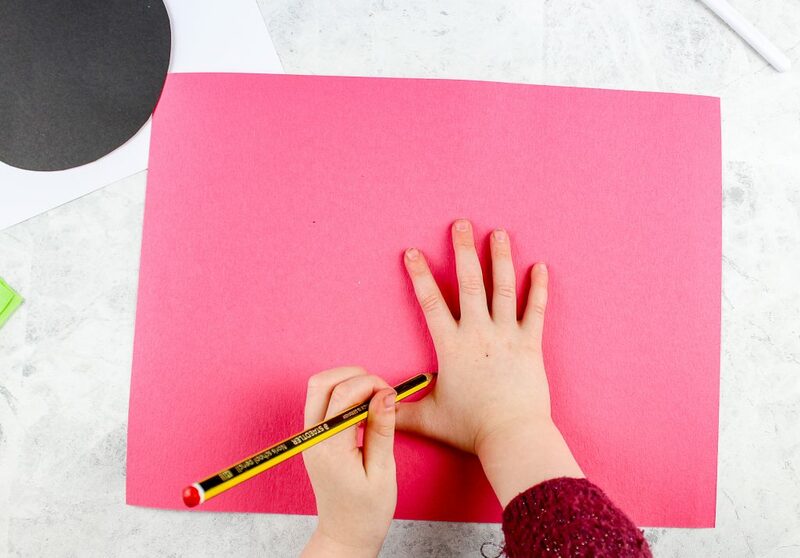 Kids will enjoy the process of cutting and sticking to create their stained glass ‘leaf’ canvas, and the template is large enough for even the smallest of hands to have a go at cutting for themselves! 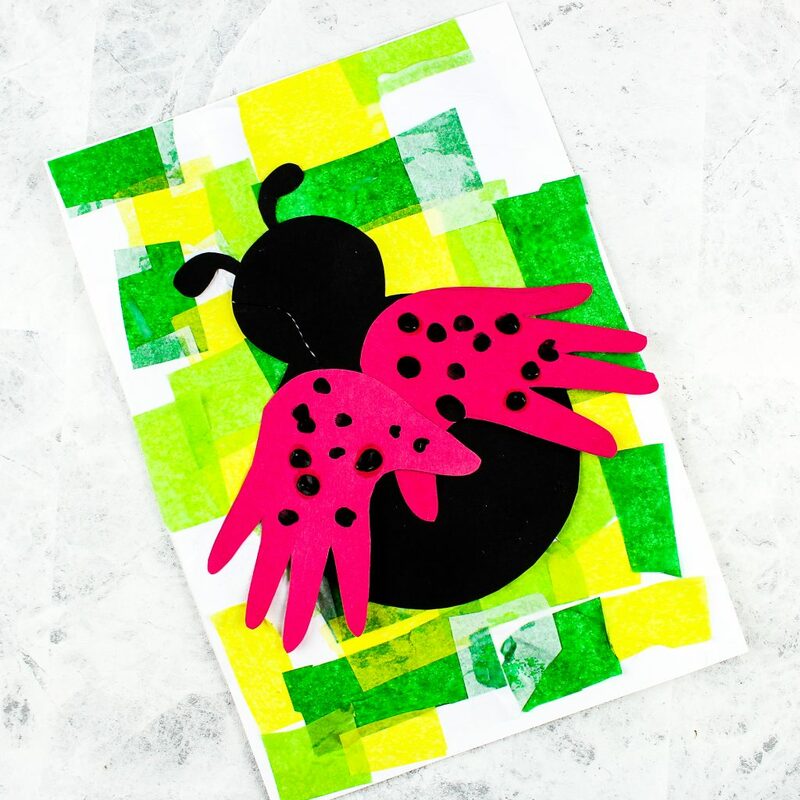 The Ladybug Template is exclusively available to Arty Crafty Kids Club members. 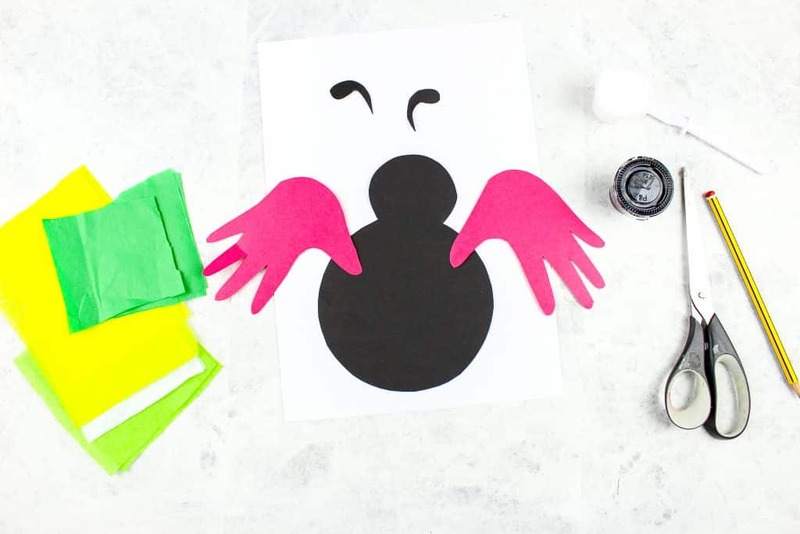 Draw around a pair of Arty Crafty hands onto red card stock and cut out the handprints. Download the and print the Ladybug Template from the members area. Cut out the template and trace round the body parts onto black card stock. Cut out the traced ladybug shapes. Cut up the coloured tissue paper into squares. 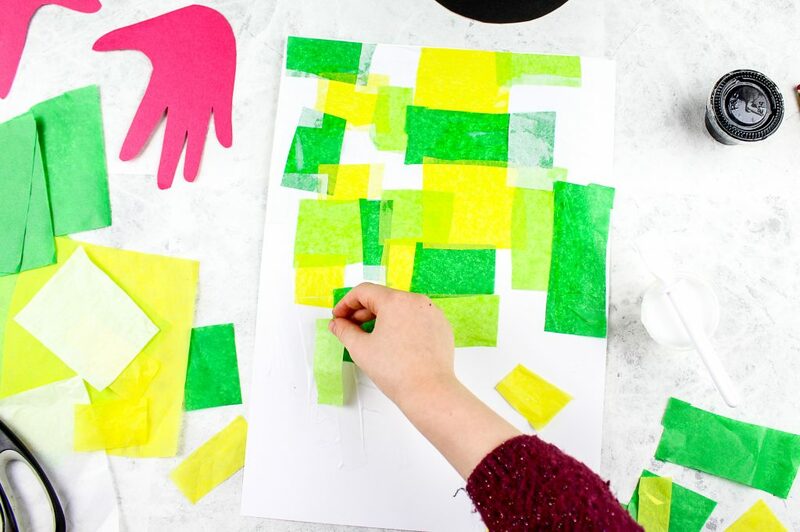 Coat the white card stock with a generous amount of PVA glue and layer the tissue paper to create a ‘leafy’ stained glass effect. Secure the loose edges by spreading PVA glue across the tissue paper. Continue layering until the white card stock covered. 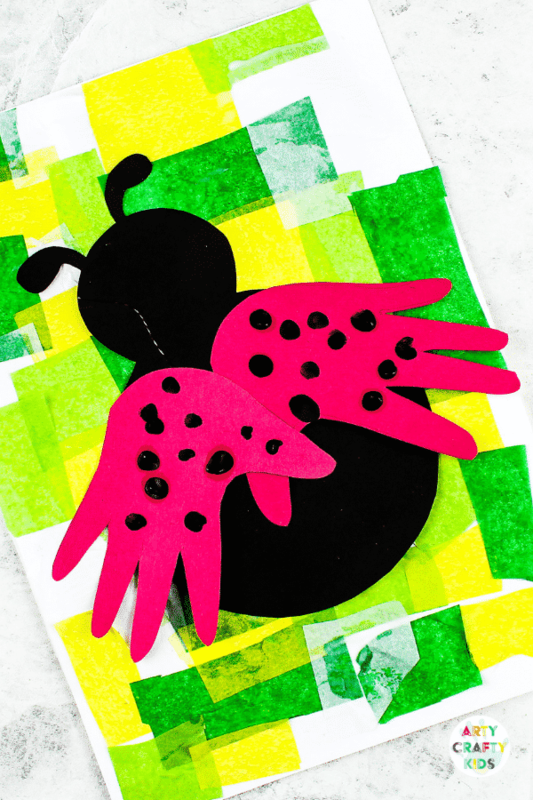 Assemble the ladybug has shown above and complete the handprint wings with some black arty crafty fingerprints! 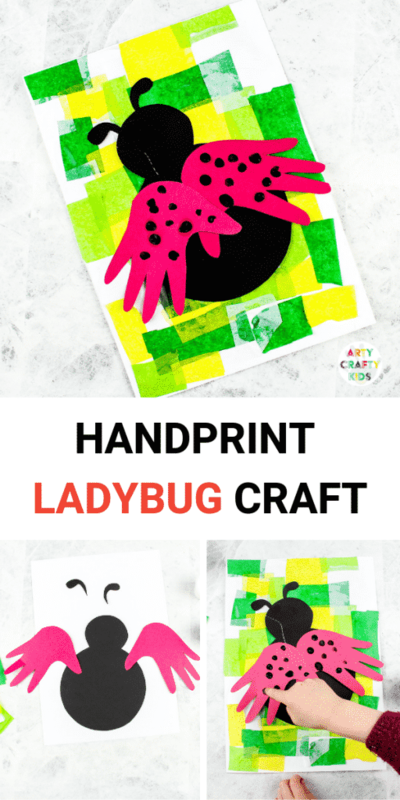 I hope your Arty Crafty Kids enjoying creating their Handprint Ladybugs!